This LA foursome are making waves with their debut self-titled album and in a heap of respects I can see why. Citing Tool, Ministry and FLA as influences, it’s of no surprise as to what will come out of the speakers when you hit play; and in a lot of respects they’re right, but there is ultimately more than that on offer. 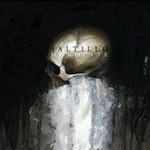 The brooding Dark Ambient opening chords of ‘Nihil’ barely make ground before the pounding mid-paced beats clinically enter the mix, crashing into a furnace of guitar and vocals than owe more to Metal rather than Industrial if truth-be-told; either way, I like Metal so win-win. Followed up with the Ministry/Revco tinged ‘Consent’, it’s all steady away decent stuff; but fails at this point to live up to the hype, as decent as it is. Feeling slightly short-changed on what I had read press wise, all was forgiven come ‘Pearls 2 Swine’. 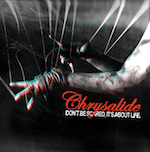 Not original in the slightest, but harking back to another era where Industrial Rock held it’s own; capitalising on all that was great within the genre, covering proper EBM, slicing guitars and boot stomping rhythm sections that couldn’t fail to put a smile on my face. ‘Dust’ follows suit and everything continues on an upward slant from here on in. Synths meld as a cloak of atmospherics, to carry the frenetic razor fretwork on a nostalgic passage that just emphasises the tragic appearance of these sugary sweet ‘Futurepop’ acts that came along to ruin the party, with their stupid glow-stick cheap versions of Ministry of Sound Trance garbage; and how it could have all been different if we had just supported the true bloods of the scene that little bit more. 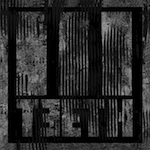 3TEETH resemble more than the sum of their parts; it’s essential as a scene that Industrial doesn’t flitter away into an even weaker shell of what it once was. I am frankly sick of attending clubs (if I attend them at all nowadays), only to be subjected to a barrage of even weaker versions of Ibiza classics with Day-Glo draped dickheads that look like they have been in a car crash with a circus tent, gurning on the latest pill. When I go out, I want beer, I want loud guitars, I want loud beats and I want music that sits firmly under the Industrial umbrella; 3TEETH provide all of this. As stated, there are blatant comparisons and influences abound on this self titled debut, with vocals that more often than not, touch on those of Ghost from GGFH (more so even than the bands that were cited in the press bumpf); but when it’s executed so well, the lack of sheer originality in fact, becomes a mere nothing to complain about and is one of the albums strengths. If these lads had appeared on the scene in the early 90’s, they would have undoubtedly found themselves snapped up by the mighty WaxTrax! label; and if anything this says everything you need to know about them. It’s been six very long years since the debut release ‘Ganglion’ on the now defunct Hive Records; an impressive jaunt through a theatrical blend of natural orchestration and electronics. It would take a lot to knock that particular release off its perch, so in a lot of respects I can almost understand the wait. The joining of ‘ABEO’ and ‘Proxy’ starts pretty much where the last release left off, with dramatic violin exchanges over cinematic overlays and rhythmical trip-hop. It’s not the immediate heart-rending excursion that was immediately evident the first time I heard this project, but does carry a necessary punch, leading into the piano and vocal driven ‘If Wishes were Catholics’. As usual, there are nods at other artists that tap a similar vein; ‘They do it all the Same’ pulling on Massive Attack influences, whilst retaining that Saltillo edge and indeed, various elements of Portishead make their way into a lot of the tracks. I am ultimately torn with ‘Monocyte’; on one hand as a stand out release on its own it should impress me more than it actually does. Indeed ’Forced Vision’ and ‘The Locus Priory’ would have had me rambling about this album for hours had they not been a paler watercolour of previous tapestries. I do think this album is well put together, but after such a long hiatus I would have expected a release that didn’t sound somewhat like the outtakes of its predecessor. I suppose if that’s the worst I can say, then we are still left with a decent amalgamation of beauty, even if the face staring back at us in the mirror has aged a little poorly.